Building & crafting square savannah world! Free exploration of wild savanna! Discover cube cute animals. For girls and boys! Bring your boyfriend or girlfriend and find a wild safari pet! Craft unique items! Exploration of a square cube world! Safari adventure with cute square animals. Journey to savanna and start a safari adventure! exploration of a world of wild blocky cube animals! Pixel savannah sandbox! Build city from blocks on savanna, desert or jungle! Travel blocky cube 4x4 jeep in a vast universe sandbox! Want to fly? Get a free square air plane and enjoy safari love adventure from high! So many wild animals to meet! Lion, rhino, elephant, monkey, zebra and many more! Cute blocky pocket pet animals from savannah, desert and jungle! They’ll become your pet friends! Fantasy safari adventure with your boyfriend or girlfriend! Chat and date with NPCs (not real people!) in 4x4 jeep or in plane - love and square air, no high school romance! Change clothes to impress boys and girls! Be the cool boy or cute top girl in this exploration adventure game! One of the most addicting game for teenagers! Become fantasy savannah hero! Create anything you want! From a zoo with animals to doll house! Craft items and explore the endless world! Become a miner in Africa! Mine deep into the blocky world! Plant flowers, ride wild animals, build and create! Creative craft game for boys and girls! One of the best zoo adventure games! Exploration of savanna - in a 4x4 jeep or plane! 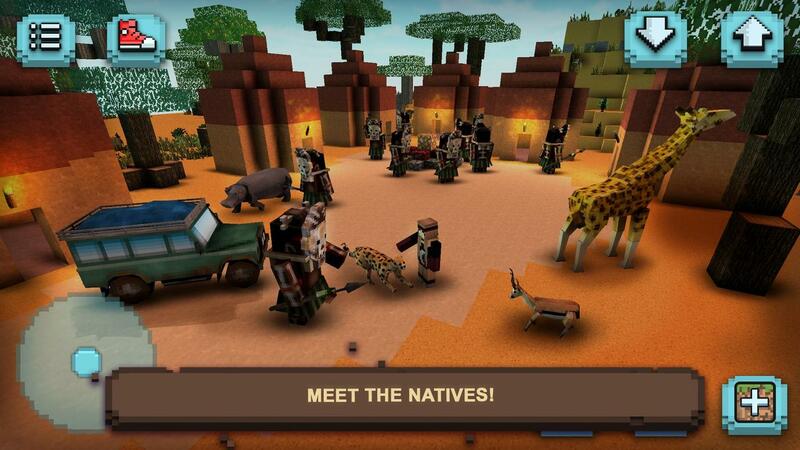 Craft and build with blocks in this epic quest to change wild sandbox world! 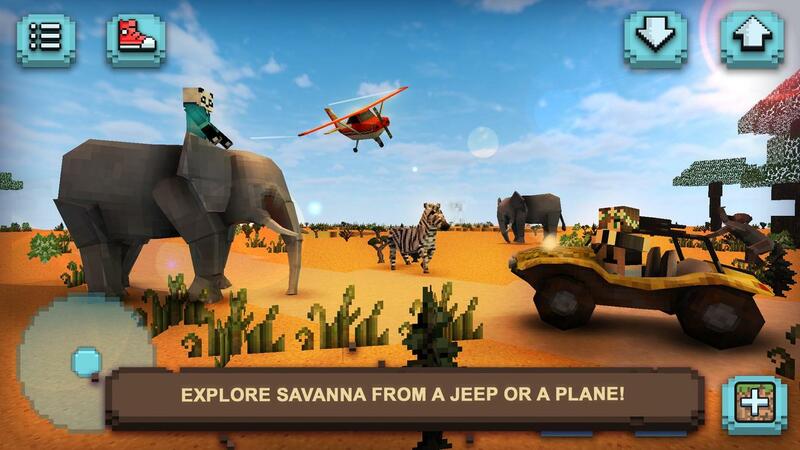 Realize your safari fantasy in this free creative game for boys and girls! 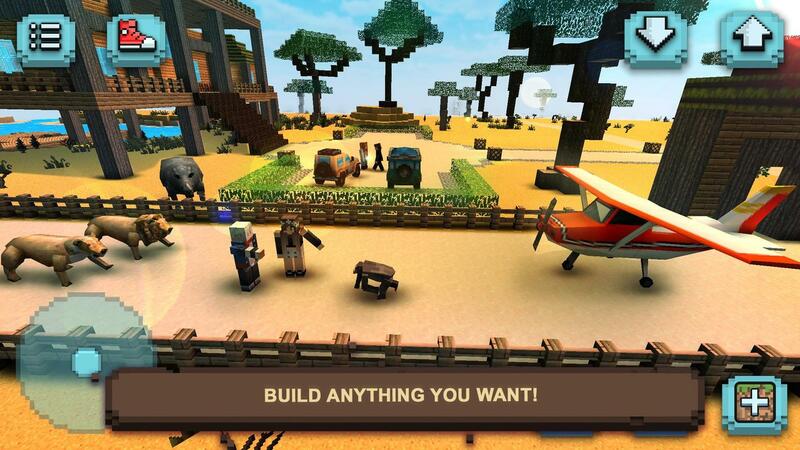 Jump to blocky cube 4x4 jeep or square plane and visit savanna, jungle or desert! Learn about new crafting materials from tribal village! Mine resources! Pixel quest to craft and build new wild world! Build a city or house and decorate! Exploration of open-world African sandbox universe! Best adventure game for family and kids, high school friends, boys and girls! Your boyfriend or girlfriend will love it! Change clothes to look like an African king or queen, prince or princess! Blocky dress-up for girls - teen and high school! Animals won’t be so wild, they’ll become your blocky pocket pet friends! Easy Building & crafting from blocks in beautiful, retro pixel art game. No animal hunting! Only cute pets! Boys and girls craft for free! Be creative! Mine resources and build an fantasy home, shelter, high school, tribal village or city - like in city builder! Design and decorate your safari house! Live with your boyfriend and pet friends like king or queen, prince or princess! Chat and date in savannah, desert or jungle! No desert island! Cute animals will follow you! Lion, rhino, monkey, zebra or even elephant! Choose your blocky pocket pet! Beautiful, retro pixel art landscape awaits to explore! Change clothes! Ultimate dress-up! For free! Fantasy adventure safari without animal hunters! One of best cube sandbox pixel art games! Extreme fun on square savanna! For teens and adults! 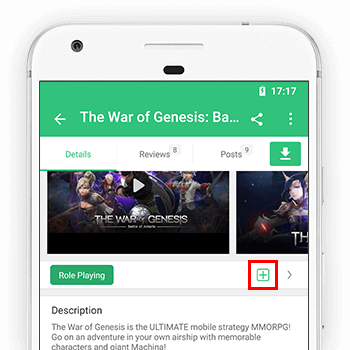 Minor fixes and optimalisation improvements.